It's your home - built exactly as you want it. 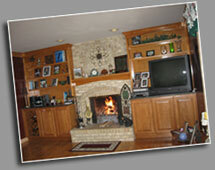 Krolo Construction offers the most exclusive custom homes and remodeling. When you work with Krolo, you can select your home from our builder's portfolio, modify plans to your specifications, or work with our architect to create a truly unique masterpiece.